Dr. Shashi Tharoor, Commonwealth Writers’ Prize winner and prolific author was given the Lifetime Achievement Award, instituted in 2016. For the first time in the history of Crossword Book Awards, a celebrity dialogue between Gaur Gopal Das and Soha Ali Khan was organised. In its 16th edition, the prestigious Crossword Book Award in association with Shoppers Stop, Home Stop and Kotak Mahindra Bank witnessed a remarkable literary event, which saw a venerable celebration of Indian writing in English for books published in the year 2017 at the majestic Royal Opera House - Mumbai. As India’s oldest and most respected literary award, the Crossword Book Award encompasses a total of 11 awards in categories such as fiction, non-fiction, children’s, translation in the jury as well as popular categories. Two additional categories - business and management and health & fitness are part of the popular awards alone. Accepting the Lifetime Achievement Award, veteran author Shashi Tharoor said, “I started my literary journey with fiction, and then of course moved to non-fiction. Crossword Bookstores has always stood for the pleasure of reading which means a great deal to me. Reading is a pleasure that everyone in this audience has experienced. Books have an unparalleled ability to take you places. Sadly today, piracy has become a threat, much like the anecdote shared here today about Salman Rushdie, and how street sellers sent him greeting cards thanks to the money they earn out of his pirated books. Coming here today is not just about achievement, because I believe there is a lot more to be done." Group top management BS Nagesh, Chairman Shoppers Stop, Atur Talsania National Sales Head Saregama, Rajiv Suri, Vice-Chairperson Crossword Bookstores, Maulik Desai, Head, Crossword Bookstores gave away the popular awards. 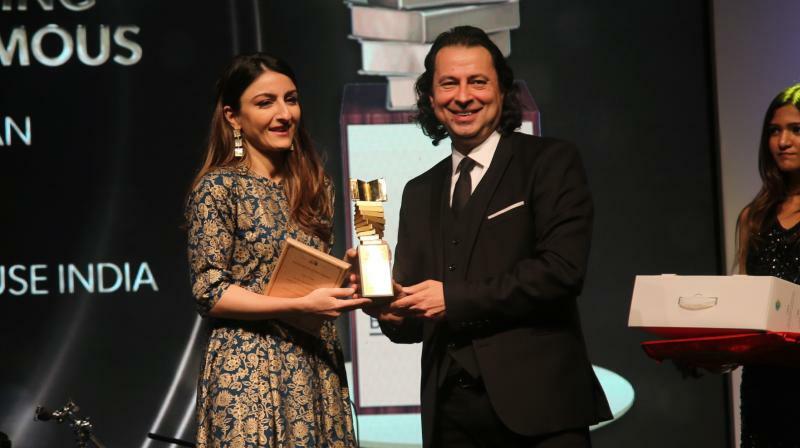 Social media phenomenon Mallika Dua and Shauna Chauhan, CEO ParleAgro also gave away key awards. Thanking the audience, Maulik Desai, Head, Crossword Bookstores said, “India has the second largest English speaking population in the world, next only to the United States. The prose writing created by Indian writers, in English language, is proving to be a strong, significant global force. The Crossword Book Awards, since 1998, are a tribute to this organic, emergent force, and I am happy to see our tribe growing." The presence of authors Sudha Murty, Manu S Pillai, Radhakrishnan Pillai, Ira Mukhoty, Gaur Gopal Das, Amish Tripathi, Ravi Subramanian, Durjoy Datta, Anand Neelakantan, Sanjeev Kapoor, Rita Chowdhary, Benny Daniel, Perumal Murugan and actor Divya Dutta added gravitas to the evening.